Open House Details: Please see on-site community agent at 286 S Singletree for assistance. IMPRESSIVE Harlow V, 5 bedrooms, 1 on main floor (ideal home office)! This home has it ALL-BIG Rooms, Formal Dining Room, Patio & Large Master Suite w/ Luxurious Master Bath, Large Walk-In Closet connecting directly to Bedroom Level Laundry Room. Kitchen features LOTS of Granite Countertop space & cabinets, Kitchen Island & Walk-In Pantry. SEE the youtube LakeOlathe video! Finished inside, just needs sod and landscaping. SHORT WALK TO LAKE OLATHE - LOOK at the Pictures showing this EXCITING Project! 2794 W Sitka Drive (MLS #2124063) is a traditional single family home located in Olathe, KS. 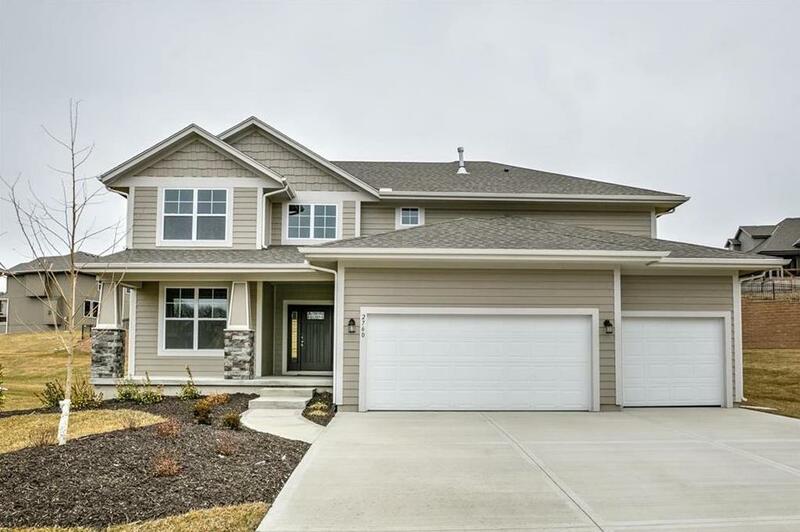 This single family home is 2,742 sqft and on a lot of 13,504 sqft (or 0.31 acres) with 5 bedrooms and 4 baths. This property was listed on 08/13/2018 and has been priced for sale at $409,950.